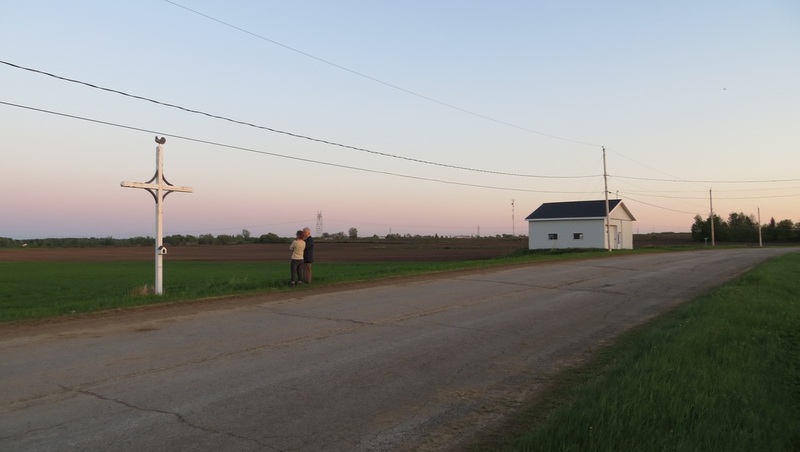 Fifteen- to twenty-foot tall wayside crosses are found along rural roads across Quebec. They can be made of wood or metal and are often elaborately decorated. A major inventory of the crosses was conducted in the 1970s and 1980s. At that point, scholars predicted their imminent demise. A generation has passed and hundreds are still standing, cared for by the people who live nearby. My research is tracking why and where they are being maintained. I am interested in people's relationships to these devotional objects, especially in the context of debates about secularism and public religiosity in Quebec. I wrote a short piece about the crosses for Reverberations. I'm also contributed chapters on the crosses for two edited volumes, including The Long Shadow of Vatican II, edited by Lucas Van Rompay and David A. Morgan (University of North Carolina Press). I'm excited about a project that has stemmed from this work: an edited volume coming out in 2017 with McGill-Queens University Press. It's the first English-language volume to offer a broad range of chapters on contemporary religion in Quebec. Contributors include francophones and anglophones, representing a cross-section of disciplinary and theoretical perspectives. Read about it here. Just published: Thinking about secularism and public religious objects in Quebec. See my article on wayside crosses in the Journal of the American Academy of Religion. Access it here.